Archaeologists have discovered the oldest hominid remains ever found in Poland. “The bones discovered by our team at Jaskinia Ciemna [a cave in the southern Małopolska region] are the oldest hominid remains from the area of Poland,” Professor Paweł Valde-Nowak of the Jagiellonian University of Kraków told PAP. The discovery of finger bones from the hand of a Neanderthal child that died roughly 115,000 years ago are more than twice as old as the previous oldest find of hominid bones in the area. Previously, the oldest Neanderthal remains were three teeth dated to 52,000-54,000 years. The discovery will be published later this year in the Journal of Paleolithic Archaeology. The bones show signs of digestion, apparently by a large bird, archaeologists say. The Neanderthal child, aged five to seven years old, may have been attacked and killed by a bird of prey or a scavenger may have chewed its hand after death. The remains were found several years ago, mixed with other animal bones several meters below the contemporary floor of the cave, Professor Valde-Nowak said. It was only after detailed analysis that archaeologists realised they belonged to a member of Homo sapiens neanderthalensis. Neanderthal stone tools were found in close proximity. 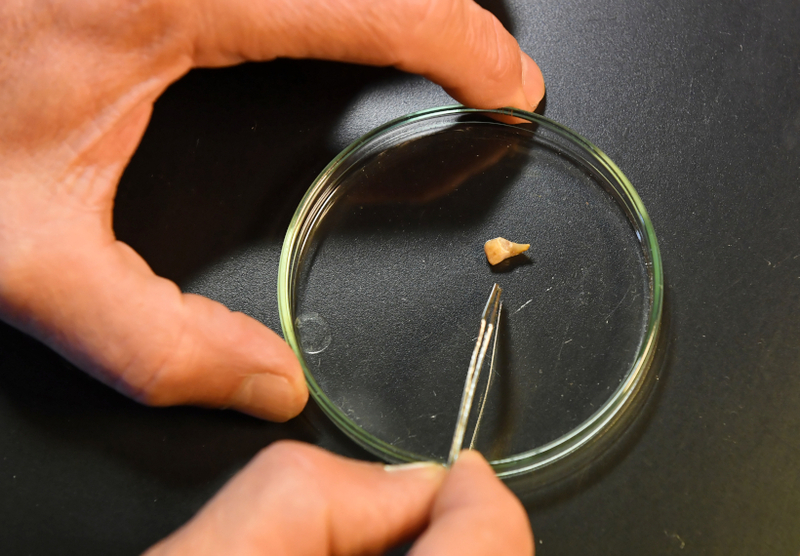 While Neanderthal remains are extremely rare in Poland, just two sets of teeth to sit alongside the present discovery, tools are more common with the oldest such finds dating back to 220,000 years ago. The close relatives of the modern humans presumably came to inhabit these lands some 300,000 years ago, just as they did the rest of Europe, Profesor Valde-Nowak said. Thousands of stone tools used by Neanderthals have been discovered by Polish archaeologists, mostly knives that could be used for both cutting and scrapping. The hominids lived in the south of Poland, facing glaciers that covered most of the modern country’s territory. Neanderthals were close cousins of contemporary humans and have been regarded as members of the same species, Homo sapiens though that is now sometimes questioned. While the modern human evolved independently in Africa, in the process of colonisation of Europe it cross-breeding with Neanderthals took place, as shown by genetic evidence. Contemporary Europeans derive as much as 3-5% of their genetic material from Neanderthals who died out over 30,000 years ago – although claims have been made for a more recent dating of one Neanderthal find, a mere 24,000 years old.